This week on ‘Writers In Ireland’, I am chatting to Amanda J Evans, an award-winning author writing paranormal and fantasy romance novels as well as children’s stories. Amanda lives in Ireland with her husband and two children. Her first novel Finding Forever won Best Thriller in the 2017 Summer Indie Book Awards and her second novel Save Her Soul won Silver for Best Paranormal in the Virtual Fantasy Con Awards 2017. Amanda has a publishing deal with Handersen Publishing and her first children’s book, Nightmare Realities was released on the 25th of September 2017. Her latest story, Hear Me Cry, a fantasy romance telling of the old Irish myth of the Banshee won the Book of the Year Award at the Dublin Writers Conference 2018. Growing up with heroes like Luke Skywalker and Indiana Jones, her stories centre on good versus evil with a splice of magic and love thrown into the mix. An early tragedy in her life has also made its way onto the page and Amanda brings the emotions of grief to life in her stories too. She is the author of Surviving Suicide: A Memoir from Those Death Left Behind, published in 2012. Welcome, Amanda and congrats on your multiple awards! So, how long were you writing fiction before you were published? I joined a writers group in early 2016 and this gave me the motivation to start writing every week. I’d always wanted to write for myself and have the confidence to put pen to paper but self-doubt always got in the way. In July 2016, we began a page a day challenge and that led to my first complete story, Finding Forever. I didn’t have the confidence to submit it to agents or publishers and after some great feedback from beta readers I chose to self-publish in January 2017. Finding Forever later went on to win Best Thriller in the Summer Indie Book Awards. And did anyone – famous or not – inspire you to write? No, writing has always been my go to for comfort and enjoyment for as long as I can remember. I spent hours in my bedroom writing as a child, filling copybooks with stories and scripts for new episodes of my favourite cartoons. Teenage years were spent writing poetry, and as life went on, writing took a backseat. It was always my go to though if I got down or needed answers and I love the joy that comes with putting pen to paper and just allowing the words to spill out. It’s therapeutic and I’d love to see journaling being added to school curriculums. Yes. I write every morning, Monday to Friday. I usually get up at 7am and once I’ve checked all my social media and emails, I sit down with my iPad and type for about 40 minutes. I use my iPad because I have no distractions and no notifications. It’s just me and the screen and it works really well. Once I’ve completed my own writing, the rest of the days is taken up with client work. I am an SEO content manager for a large company in Canada so my days are spent typing up reviews and website content. And you enjoy writing in multiple genres? I think it might get boring to stay with the same genre forever. I don’t know any readers that only read the same genre of books, so I think it’s okay for writers to experiment in different genres too. Even Stephen King writes in different genres and everything isn’t just horror anymore. He mixes genres in a number of his books including epic fantasy, westerns, sci-fi, and more. What are the themes you explore in your writing, Amanda? I write YA and adult romance in a number of subgenres. I love happy ever afters and this is something I strive for in my books whilst still focusing on dark themes. I focus on the struggles and the pain of finding that happy ever after. In Finding Forever, my main character Liz is quiet and can’t make a decision for herself. When her husband goes missing, she is forced to rely on herself and find her own strength as she fights to get him back. In Save Her Soul, a paranormal romance, my main character Kate is a very strong, independent, young woman who is hell-bent on getting revenge on the people who murdered her sister. Hear Me Cry, my latest novella is a fantasy romance retelling of the Irish legend of the Banshee and deals with a lot of dark and deep emotions as well as reminding readers about the important of time. That all depends on characters and how willing they are to dictate their stories. In reality, it takes anywhere from 2 to 3 months to get a first draft done and depending on how busy my editor is, it can take another month or two to get the book polished. Given that you have received so many, literary competitions and awards are obviously worthwhile? I think literary competitions and awards are great for getting your name out there and getting recognition. I’ve read many interviews with authors who got their big break after winning a literary competition. And your thoughts on Indie publishing? I think indie publishing has turned the publishing industry around. It has given serious writers a way to get their stories out in to the world and have more control over the entire process. It also has a negative side in that anyone can publish a book and this, in the beginning, led to a lot of poorly edited and badly written books being published. It tarnished self-publishing and many people assumed that if you were self-published it was because you couldn’t get a “real” publisher. This is not the case and there are quite a lot of traditionally published authors who are choosing to embrace the self-publishing model too. I think on a whole it’s a wonderful way to get your stories out there, but it’s a lot of hard work too and you need to ensure that your book is the best it can be. This means having a professionally designed cover, paying for a professional editor, and taking the whole thing very seriously. I don’t have an agent at the moment as I have been self publishing, but I am working on a novel called Winterland that I plan to submit to agents and publishers in 2019. I don’t think it’s necessary to have an agent but I would love one. I think their expertise and knowledge of the publishing industry is invaluable and with an agent by my side my writing could reach a bigger audience. I do all my own marketing and PR work as a self-published author and it’s extremely difficult. I’d love to have a marketing or PR company to help me with this. Thoughts on social media for authors? Social media is a necessity in today’s world. It is expected of authors and part of your marketing. It’s time consuming too, but it has its benefits such as being able to engage with your readers. Do you read your reviews, and if you have received any, how do you handle negative ones? Name six people, living or not, that you would like to share your favourite beverage with, and why?! First off it would have to be my dad. I miss him so much and would love to be able to sit with him and talk about my life. After that, Roald Dahl because I loved his books growing up. Also Stephen King because I’d just love to get inside his mind and see how he comes up with his story ideas. Others would be Enid Blyton, Charlotte Bronte, and one of my writing friends, (they could argue about it themselves and choose who would come along). And is there a book by another writer that you wish you had written? There are a number of books that I’ve read over the past couple of years that have had a profound effect on me. Carnage by Lesley Jones, Bright Side by Kim Holden, and A Thousand Boy Kisses by Brittany Cherry, all showed me the power of emotions and allowing the reader to feel them. These were the first books to ever make me cry and after reading Carnage, I couldn’t even tell anyone about it without breaking into tears. Tell me about your latest work and what inspired it? I have a number of projects on the go at the moment. One of these is a second collection of short spooky stories for children aged 9+, called Nightmare Realities 2. This is for my US publisher Handersen Publishing. I’m also working on a new paranormal romance series, The Cursed Angels. Book 1, Visions, is complete and available in the Angels & Magic Collection until January 2019. I’m working on Book 2, Power. This series came about following a called for angel and magic themed stories. Once I read the post I immediately had an idea about two cursed angel brothers and a witch. And finally, Amanda, do you have any advice for aspiring writers? Don’t give up. Write as much as you can and as often as you can. Just go for it whether you’re a planner or a pantser, without words on the page you don’t have a story, and without a story you have nothing to work on. Get the first draft written and be proud of that. There are so many aspiring writers that never even get as far as completing a first draft so praise and congratulate yourself every step of the way. Once you have your first draft you can decide what you want to do next. Another very important thing – Enjoy it. If you don’t enjoy writing, the publishing world isn’t for you. On Writers In Ireland this week, I’m chatting to Lindsay J. Sedgwick. A former journalist, Lindsay is a versatile and imaginative award-winning screenwriter and playwright with more than eight hours of credits for TV and film work, including a feature film, TV series and short films. Her series Punky has been recognized as the first mainstream cartoon series in the world in which the main character has special needs (Down’s syndrome). It is available in over 100 countries with around 5 million hits on YouTube. She founded the Creatives in Animation Network in 2012. A screenwriting tutor since 1995, she regularly runs courses, workshops and masterclasses in libraries, colleges, universities and festivals around Ireland. As Screenwriter-in-Residence at Maynooth University/Kildare Co. Council Library and Arts Service 2016-7, she published Ireland’s first comprehensive guide to screenwriting, Write That Script in April 2018. Lindsay has had 14 plays produced around Ireland and the UK and has published two novels, Dad’s Red Dress and The Angelica Touch. A prolific and varied writing career, Lindsay! So when did it all begin? I can remember writing poems when I was six or seven; I wrote my first book when I was nine. It was 56 pages of a journal and I can remember making the words very big towards the end to fill the pages. But I can also viscerally remember the intensity and excitement of putting those words down and seeing the story build. Very melodramatic, it was about a cousin who was due to visit Ireland only a witchdoctor substituted his daughter instead. There were voodoo dolls, poisoned chocolates, mind control, the whole lot. And your publishing journey to date? My first feature article was published in 1984 when I was 17 in the Evening Herald, after which I worked as a freelance journo until 1997 in Ireland, Australia and also for publications in Europe, the UK and the US, while writing plays on the side. I’d been steered towards journalism by my mother, creative fiction was meant to be the hobby. In 1989, I got my first book commission from a publisher. It was a history of the Olympia Theatre up to 1990, all based on original research after the music hall era since the records had all been dumped in the ‘50s. The day after I delivered the manuscript, the publisher went bankrupt. End of first publishing break! Then I wrote a few novels between 1993-96. I got nice replies from agents and publishers that said I fell between literary and popular fiction. I focused on screenwriting from 1997 onwards, but did return to rewrite those first books, but I never felt I got them right and put one aside. The other I will return to. In 2010 or so, I tried turning some of my family features scripts into books. Again, ‘polite’ no’s. There seemed to be a very real chance of Dad’s Red Dress being published by a traditional publisher in 2016 but when that fell through at the last hurdle, I decided to self publish in 2017. I self-published Dad’s Red Dress when I was Screenwriter in Residence in Maynooth Uni & Kildare Co Council Library & Arts Service because I had the time to focus on it. Then came The Angelica Touch in Feb 2018 and Write That Script in May 2018. Do you have an agent, Lindsay? I had one as a screenwriter from 1998-2012. The first ten years were great but in the end he was frustrated with the deals he was able to make with Irish producers. Since he wasn’t sourcing work for me or able to make better deals, I suggested we part ways for a year.15% is a lot to hand over unless they are actively earning you more in the deals you get. He was also only ever interested in dealing with TV and film work and I was also writing books and plays. Now, when I have a number of book projects at different stages, plus some TV series that seem to be of interest and a new play, I’m looking for an agent again. I want someone who is able to cope with the range of material I write and direct my energies! How much of a contribution do you make to the marketing and PR of your work? All of it. Trouble is I concentrate on it for a while but once I start writing, it gets put aside. This is definitely a mistake because then I lie awake at night thinking of all the opportunities I am missing by not sending the books here and there, not pushing them properly. I keep promising myself that I will organise my time better – put certain hours aside to do marketing and nothing else, but it hasn’t happened yet. When I do focus on it, it seems to take up the entire day and I go to bed frustrated at not getting enough creative work done! Did anyone – famous or not – inspire you to write? Eilís Dillon. I did a short course of hers in Listowel during Writer’s Week, in the late ‘80s or early 1990s. I missed one class – food poisoning – and when I came in the next day, I was greeted with, “So does anyone know who this Lindsay Sedgwick is”. Turned out they’d discussed my work at length the previous day, mostly flash fiction, possibly a play and she had been raving about it. When I told her I’d written for TV too, she turned around and said that basically the novel was all that was left and why didn’t I write one? I started two while I was there for the week but neither of them were strong enough to finish. Have you formed any structure to your writing time? Not really. Everything begins longhand. Then I’ll print it out and edit those pages. If I can’t settle into it or haven’t slept well (which is often), I sneak down to a local cafe with a chapter or two and scribble over a flat white. Then I find I’m itchy to get onto the computer and type it up and that gets me back into the world. I need chocolate nearby and walk the dog when I’ve been sitting too long. If it’s going well, I forget to eat and end up ravenous. That’s when pizza becomes the reward! I’m always burning food because I get wrapped up in work so I’ve learnt to put the timer on my phone. I can remember my daughter, when she was still quite young, maybe 8 or 9 appearing at my office door – at that time I worked in a shed in the back garden – asking me shouldn’t I have told her to go to bed. I’d lost track of time. But those are magical days when the work flows. A lot of time gets taken up with marketing, emails or trying to break the work I want to do into small chunks so that I can feel I’m making progress. Editing and re-editing seem to take so much more time than fresh writing. I have really productive days and days when I’ve achieved nothing. If I’m teaching, prep time for that will eat into the day too. I can be distracted easily most days and a good book will steal hours from me too! I often tend to take a bit of work that’s proving tricky to bed and force myself to brainstorm or edit it. It’s often the clearest time to work things out. On a good day I could be working at 8 and still working at 11 but there will be big glumps of time when I’m not doing anything remotely connected with writing in between and I only really have those days when my husband is away! And on average, how long does it take you to complete a book? Write That Script took a year, from the day I began to the day I received my proof copy. Dad’s Red Dress, which had been around in an earlier draft, I think I worked on it for about 6 months but then I had spent a few months on it earlier in 2016 and in 2015 so that’s not very accurate. The rewrite of Angelica, which had also been around in a very basic draft, took about 8 months but I was working on a lot of other stuff at the time. The current book, Moving On, is the sequel to dad’s Red Dress. I’ve been it at since July 2017 but I had the ending of it for about a year before that. I brainstormed ideas for it until September or so because I was working on Candlemist but I’m hoping to have the first draft finished by September 2018. Candlemist is my other book – and that goes back to 2005; I get a few months to work on it intensively and then something else comes up and I put it aside. At about 110,000 words unfinished, it has a dozen of more threads and I know that each of them needs to be tracked and traced through the book to make sure it all holds together. I worked on it from September to December last year, and now it’s like a sweets jar I can’t wait to dive into when I have a reasonable space of time to do so. So it varies, I guess. Another book, part memoir, has been around in some form from 2008 but I haven’t found the right narrative structure to underpin it yet. My first two novels don’t seem to fit a genre. I’d describe them as general fiction/ humour but because the main characters and 13 and fourteen respectively, bookshops have chosen to categorise them as YA. I think you have to write the stories you are passionate about. I do feel life would be less complicated if I wrote genre, just from a marketing pov but so far it hasn’t happened and I don’t think you can force it – unless someone is offering you payment; then you can write in any form and with passion, as I know from being a professional writer for 30 odd years! I do have two TV series that would make good genre novels/series and I’m actually really curious to know if I could make them work in prose because I love the characters and stories, but there are about five books in between waiting to get finished. Writing is a muscle you have to keep using. Even when you don’t feel like it. Grab ten minutes here and there and make yourself write. On the bus, during a tea break, waiting for someone. Deliberately arrive early for a meeting or to pick your child up and write while you wait. Don’t expect to write brilliant or even good stuff each time you sit down – you have to write the bad stuff too but at least then it’s not in your head anymore. Last question, Lindsay – is there a book by another writer that you wish you had written? Love in the Time of the Cholera by Gabriel García Marquéz. Today on Writers In Ireland, I’m chatting with Pam Lecky, an Irish historical fiction author, also writing crime, mystery and romance. She is a member of the Historical Novel Society and has a particular love of the late Victorian era/early 20th Century. Pam’s debut novel, The Bowes Inheritance, was awarded the B.R.A.G Medallion; shortlisted for the Carousel Aware Prize 2016; and long-listed for the Historical Novel Society 2016 Indie Award. Her short stories are available in an anthology, entitled Past Imperfect, which was published in April 2018. She is currently working on her next couple of novels, a Victorian mystery series. Tell me about The Bowes Inheritance – what inspired you to write this story? My debut novel is a Victorian romantic suspense, set against the backdrop of the Fenian dynamite campaign in Britain during the 1880s. It started out as a simple romance but as I did my research more and more interesting facts emerged. Having the threads of a mystery/crime running through the story gave it more depth and I have to admit I do prefer to read stories like that myself. The premise for the novel was a woman inheriting a property in a different country and having to fight to keep it. I have always been fascinated by the relationship between the Irish Ascendancy and the British upper classes. So I had lots of conflict to make the story interesting! What is it that attracts you to write historical fiction genre? Overall my work is classified as historical fiction although I have written contemporary and ghost stories as well. There were a lot of influences in my childhood and the earliest one that I can remember was actually television. Historical dramas in particular caught my attention, even though at that young age I didn’t really understand the stories. Ah but the costumes, the architecture and the way people behaved – something clicked. My father was a great reader and encouraged me to be as well; as a child and a teen I devoured books and I mean devoured. Then Dad bought me the complete works of Jane Austen and a foundation was laid. For those familiar with the 19thcentury world, I think I actually became a bluestocking! I munched my way through classics, dined on crime (modern and historical – Dorothy L. Sayers and P.D. James my absolute favourites – what fantastically twisty minds those women had), and supped at the feet of Georgette Heyer’s heroes and heroines. So I suppose it was only natural that I would lean towards historical mystery and crime with a pinch of romance. However, I would like to try my hand at other genres and other eras of historical fiction. I just need to find more days in the week! My debut novel took 6 months to write the first draft but from start to publication was about 18 months. My second book, which is currently out with publishers, took a year plus about another 4 months of reworking for my agent. My short stories can be written in a couple of hours or weeks depending on whether the muse is co-operating or not! On literary agents, I’ve spoken to authors who don’t think it is necessary to have one, and others who absolutely depend on their agents. What’s your opinion, Pam? Earlier this year I signed with the Hardman & Swainson Literary Agency in London – a huge step forward in my career. My agent, Thérèse Coen, has been a great support and has given me lots of feedback and advice. What impressed me most about her at our first meeting was her saying she viewed our working relationship as a long-term thing not just about one book. My next novel, No Stone Unturned, the first in a trilogy of Victorian mysteries, is currently on the desks of commissioning editors in the UK. Hopefully, the book will find a publisher and I know my agent is pushing it as best she can. As to whether an agent is necessary or not depends on what you want. I have happily self-published but find the lack of support and enthusiasm from the Irish literary community very frustrating. My debut novel has been longlisted and shortlisted for literary competitions but, because it’s self-published, it doesn’t get noticed. My reviews are generally four and five stars, so I know I have produced a good book and people have enjoyed reading it. I feel to get the recognition my work deserves I need help and an agent can do that. A traditional deal, if only for a couple of books, would be a huge boost to my career. Don’t get me wrong – I love self-publishing but I want my work to have a chance to compete. I will self-publish again, I have no doubt, and earlier this year I published an anthology of short stories (mostly historical fiction), entitled Past Imperfect. What’s your opinion on Indie publishing in general? Well, I love it but then I love to be in control. It’s not for veryone – you need a fair few skills to do it completely independently. And, there are a lot of scam artists out there preying on vulnerable authors (vanity publishers, etc.). The reality is that traditional publishing is a business and I think many authors forget this. Publishers want guaranteed sales so tend to look for tried and tested work that unfortunately can be a bit formulaic. Indie publishing throws the doors wide open – you can write what you want, mix up genres (which is something that brings trad publishers out in a cold sweat!) and experiment to your heart’s content. Big plus for creativity. Unfortunately, with opening the floodgates to creativity you can lose out on quality. Thankfully, most Indies realise they need professional editing and graphic design, but there are still far too many poor quality books published. Why should I care, you may ask, but poor indie publishing hurts all of us and reinforces the negative reputation that’s already out there. We are competing with the big publishing houses with big budgets – you owe it to your readers to produce the best quality book you can – after all, you are taking their hard earned money. And you are shooting yourself in the foot – you only get one chance to make an impression with your work. And on literary competitions and awards – how important are they, in your opinion? I can only comment on my own experience. The Historical Novel Society made The Bowes Inheritance their editor’s pick and then long-listed it for the HNS Indie Award. That was such a thrill for me and obviously it was something I could use to promote my work. Luckily, I discovered the Carousel Aware Prize, the brainchild of Carolann Copland. This competition is for Irish self-published authors only. 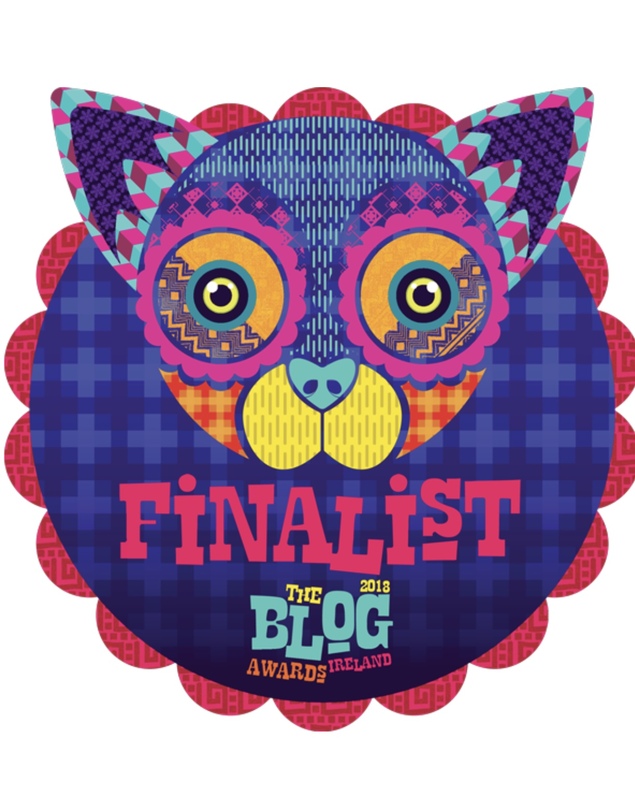 To my amazement Bowes was shortlisted for the novel category. Again, it was a huge confidence boost with the added pleasure of it being for such a worthy charity as Aware. Last year the book was awarded the Indie B.R.A.G. medallion. I was able to use these listings and the award in my submissions to agents and publishers. I’m not sure if it made any difference, but I’m sure it didn’t do any harm. The Carousel Aware Prize, in particular, wants to promote quality Irish indie work and hopefully will become synonymous with it. Part of the prize is the opportunity to have your books stocked in bookshops – something which is difficult for indie authors in general. Being such a prolific writer Pam, how much do you contribute to the marketing and PR of your work? Presently, I do all the marketing and PR. It’s all about creating a brand and to do that you must write well, have your work professionally edited and have great cover s (professionally designed). A cohesive look to your work and your social media platforms will help to create your brand. As I work part-time I dislike sacrificing writing time to marketing, but it is necessary. However, one of the most positive things about jumping on the social media rollercoaster is that you meet the most amazing and supportive people. The Indie author community in Ireland is wonderful and with the formation of the Irish Independent Authors’ Collective, it will go from strength to strength. We are promoting quality paperbacks by applying a minimum standard for an author’s books to be included, and plan to host Indie book fairs a couple of times a year. Through the use of social media I have found an amazing editor and writing groups and heard about competitions and awards. I use Facebook and Twitter and have a blog/website. Writing is a very solitary business so it is wonderful sometimes to walk away from the laptop and go online to see what everyone else is up to. For new writers social media can be very daunting. You have to experiment and when you find the one or two platforms that suit you, you’re comfortable with and actually work, then stick with those and ignore the rest. There are only so many hours in the day – you have to use your time as cleverly as possible … you also need to write! The more work you have out, the better chance of success (I define success as readers finding your work and loving it). And what about reviews – do you read them? And If you’ve ever had any negative ones – how do you handle those? I don’t think you are a proper author until you have received at least a few stinkers! They hurt – of course they do, particularly if they aren’t warranted or a bit silly (I got a 3 star one because the reader had to pay a lot of postage to get the paperback – Amazon’s fault not mine, but I took the hit!). I read all my reviews but tend to monitor my overall rating as opposed to obsessing over the negative comments. But sometimes those negative comments are helpful, even constructive. You have to ask yourself does that reader have a valid point and if they do, act on it, particularly if a few people make similar comments. Finally, Pam, can you share with us what you are working on now? I am currently in the very early stages of the second book in my Lucy Lawrence Mystery Series. The working title is Footprints in the Sand and it is set in Egypt in 1887 and involves a murder and the notorious black market in antiquities. The first book in the series, No Stone Unturned, is the one my agent is promoting at the moment. I am really enjoying this book as I have always loved reading about Ancient Egypt. I get a buzz from doing research too, so you could say I’m in author heaven at the moment! This week, the featured author on my Writers In Ireland series is Catherine Kullmann. Born and educated in Dublin, following a three-year courtship conducted mostly by letter, she moved to Germany where she lived for twenty-five years before returning to Ireland. She has worked in the Irish and New Zealand public services and in the private sector. She is married and has three adult sons and two grandchildren. Catherine has always been interested in the extended Regency period, a time when the foundations of our modern world were laid. She loves writing and is particularly interested in what happens after the first happy end—how life goes on for the protagonists and sometimes catches up with them. Her books are set against a background of the offstage, Napoleonic wars and consider in particular the situation of women trapped in a patriarchal society. Catherine’s debut novel, The Murmur of Masks, was short-listed for the 2017 CAP Awards (Carousel Aware Prize for Independent Authors). Her latest novel, A Suggestion of Scandal, was released on 1 August 2018. Welcome, Catherine, and congratulations on the publication of A Suggestion of Scandal. Can you give us a snapshot of what it is about? When governess Rosa Fancourt surprises two lovers in flagrante delicto, her life and future are suddenly at risk. Even if she escapes captivity, the mere suggestion of scandal is enough to ruin a lady in her situation. In Sir Julian Loring she finds an unexpected champion but will he stand by her to the end? The initial impulse came from a notorious Regency divorce case that was triggered when a governess surprised her employer with her lover, her hand inside his military pantaloons. The lovers made no attempt to hide their guilt but I began to wonder what if they had tried to do so. What would have happened to the inconvenient witness? Tell me more about your interest in the Regency genre? It is the period rather than the genre that attracts me. The first quarter of the nineteenth century was one of the most significant periods of European and American history; an era whose events still resonate two hundred years later. The Act of Union between Great Britain and Ireland of 1800, the Anglo-American war of 1812 and the final defeat of Napoleon at the Battle of Waterloo in 1815 all still shape our modern world. But the aristocracy-led society that drove these events was already under attack from those who saw the need for social and political reform, while the industrial revolution saw the beginning of the transfer of wealth and ultimately power to those who knew how to exploit the new technologies. It was still a patriarchal world where women had few or no rights but they lived and loved and died, making the best lives they could for themselves and their families, often with their husbands away for years with the army or at sea. And they began to raise their voices, demanding equality and emancipation. It interests me to explore women’s lives in particular against this background. It is not so long since many of these restrictions, whether legal or social, still applied in Ireland. It is important to realise how far we have come, and also to be aware that that which was gained can also be lost. Do you think that authors should stick to writing in one genre only? Authors should follow their muse wherever she leads them. They should not shy away from challenges and be willing to accept commissions if they are prepared to put the time and effort into them. Good writing is as much craft as art. Although I only started writing fiction after I retired, in my professional life I wrote a lot and rarely had a choice of subject. I learnt to express myself as clearly and as elegantly as possible. I don’t see why an author should not write in one genre for their bread and butter and in another for their jam, for example, or write in various genres as the stories come to them. It may make it less easy to build a brand and, if they are writing in two conflicting genres, it might be advisable to use a pen-name for one of them, but if they feel the urge to try a new genre, they should go do so. I was introduced to the extended Regency period not only by Jane Austen and Georgette Heyer, but also by the great essayists such as Hazlitt and Charles Lamb, and the romantic poets—Keats, Wordsworth and Shelley. All of them have inspired and influenced my writing, as have the great military diarists and auto-biographers of the day such as Harry Smith and Kincaid of the Rifles. Print was the only mass medium then and there is a wealth of contemporary writing from that time. The print shops also thrived; thousands of hand-coloured engravings – fashion prints, caricatures, illustrations, portraits—have survived and are tangible reminders of the period. I now have a considerable research library to which I add constantly and any free space between the bookcases is hung with prints from the time. About a year, excluding breaks. I like to set an almost completed work aside for several months and then look at it with a fresh eye. Apart from A Suggestion of Scandal, I have a novella, The Duke’s Regrets, and another novel, The Potential for Love, more or less ready for publication and plan to release them next year. In the meantime I shall start on a new book to be published in 2020. Do you write every day, Catherine? If so, how is your writing day structured? I write almost every day. I started writing after I took early retirement and I am usually at my desk by eleven a.m. at the latest. I work until lunch-time and, again in the afternoon for three to four hours. Work includes writing, research and marketing. The amount of time spent on any one of these activities depends on where I am in a new book. As I write this, I have a new release due next week so marketing and promotion is a priority at the moment. And your thoughts on social media for authors and marketing? As an indie author, marketing is part of my job description and I find social media invaluable. But they are not only useful marketing tools. Writing is a lonely business and it is wonderful to have access to the various online communities of writers who are, in general, very supportive. Which leads me to my next question – your opinion of the current business of publishing? I am indie published—my books do not fit comfortably in current genres, falling, I am told, between the stools of historical fiction and historical romance. I call them historical women’s fiction. The protagonists are fictional but they live in an authentic historical world and their behaviour, attitudes, morals etc. reflect this. The stories are relationship-driven—I like to consider what happens when life gets in the way of love—and I feel a happy end has to be earned. To come back to your question, I think that the decisions of many of today’s publishers are both genre- and formula-driven. For example, at a recent workshop on pitching to agents, participants were advised to compare their books with recent debut authors in the genre, as publishers tended to want more of the same. Indie writers have more freedom when it comes to genres and topics. And finally, Catherine, would you like to share with us what you are working on now? I am at the very beginning of a new book, still at that stage where wisps of ideas are coming together. It is the story of a woman who deliberately breaks society’s rules and the consequences for her and her family.